Start your own Image Hosting website today! 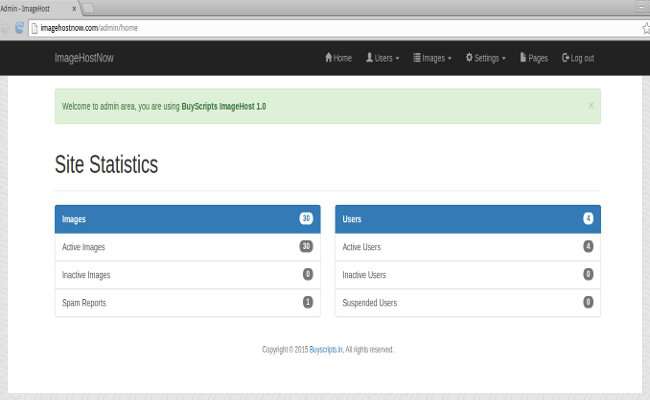 ImageHost Image Hosting script allow you to run your own image sharing portal. Visitors will be able to upload images to your website, share it with others and manage images. The script is created in PHP/MYSQL. Script use mysqli php module. The script comes with default responsive theme which is mobile friendly, since today a lot of the web traffic comes from tablets and mobile devices. Simple and easy to use PHP Image hosting script, which aims to make it easy to setup and maintain a photo/image hosting/sharing site. With thumbnails and social bookmarking links generated for each image, sharing your images or photos across the web couldn't be made any easier. Our Image Hosting Script is very easy to install.Our detailed install guide will help you go through all the processes without difficulty. Our Image Hosting Script provides all the necessary codes to share any uploaded photos on forums, websites, blogs or simply by direct links. Our Image Hosting Script gives you the ability to be the master of your service and lets you define all the characteristics in a few clicks. 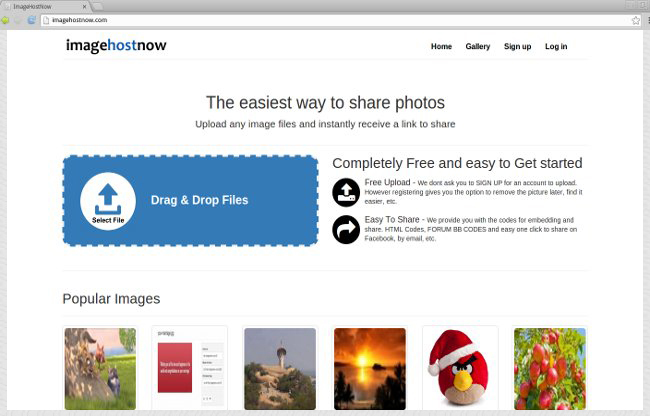 Users can share images in websites, blogs, forums etc.